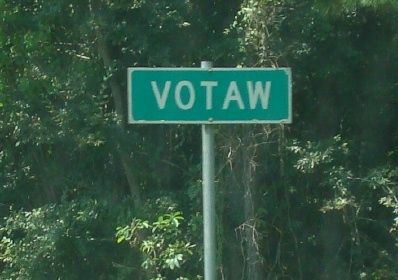 Votaw came into being as lumbering interests expanded deep into Hardin County. Like many East Texas towns it started as a sawmill. It was named to honor Clark M. Votaw, an officer of the Kirby Lumber Company. He also served as a VP of the Santa Fe Townsite Company, which platted the town. Votaw was granted a post office in 1901. Since 1925 the town’s population has remained in a rather narrow bracket of 100-200 citizens. Timber had been the town’s life-blood throughout its early history and through WWII. In the late 1950s oil was discovered and the town has since become seriously involved in agriculture. To share history or photos of Votaw, Texas, please contact us.